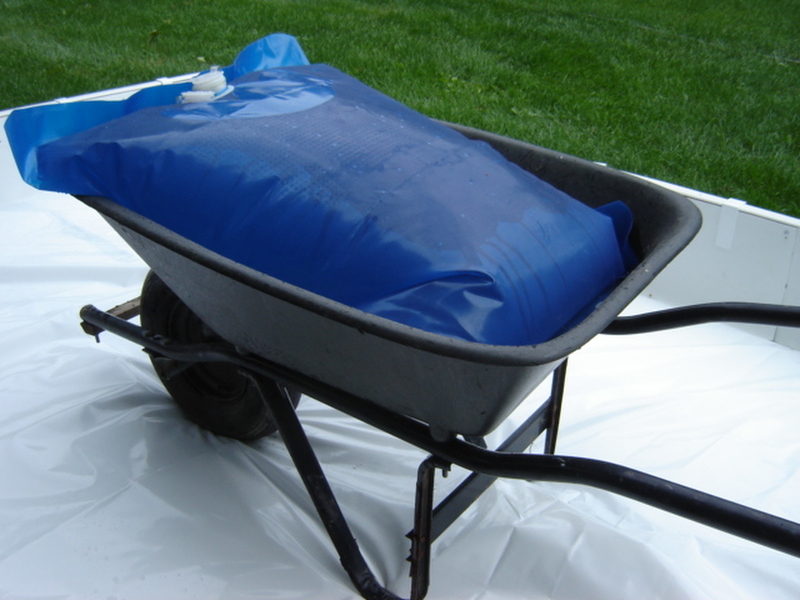 The barrow bag sprinkler is an 80 liter bag that fits into a wheelbarrow to make your flooding/resurfacing needs much easier with less stress. Do you own a wheelbarrow? Just add the Barrow Bag flooder! This is a ‘Presto Install” accessory. What is a “Presto Install”? 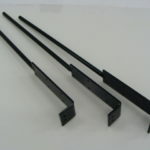 It is an accessory that takes little time and effort to get your Ultimate Rink. Your water bag is not designed to accommodate hot, hot water. Luke warm water is best for bag longevity. The Barrow Bag Flooder and Sprinkler has to be the easiest and most simplistic invention ever. Most home owners have a wheel barrow and all rink builders need to take care of their ice surface. 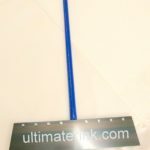 Many Ultimate Rinkers have rinks that are distant from their hose or do not have an available hot water tap, which consequently brings you to the need for the Barrow Bag Flooder and Sprinkler. 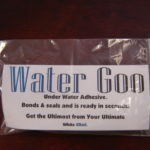 This unique invention sits in your wheel barrow and can be filled in your garage or at your back door with warm or cool water and moved to your rink where you can generously sprinkle on trouble areas or flood your entire rink. Depending on the size of the rink you could flood the entire rink with one bag, one trip. 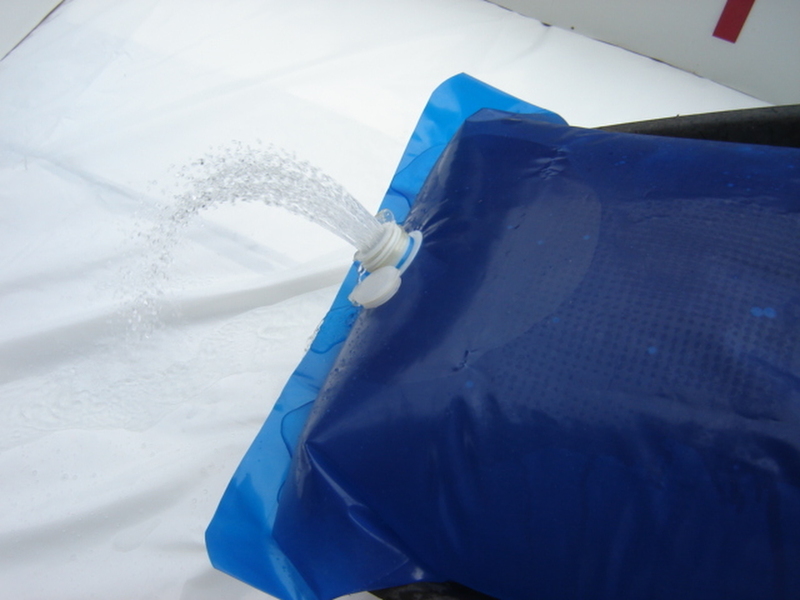 In addition for those who have pond rinks the Barrow Bag is the perfect way to get warm water to your ice surface. If the only way in the past has been to pump the ultra cold water from below your pond ice surface to the top and run the risk of shaling then this is a noteworthy solution. Shaling is caused when the ice and the ice cold water meet on the surface. Due to the almost identical temperature of these 2 mediums there is no bond formed between layers. 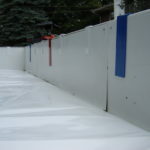 Consequently with a substantial water flood the result is a dangerous situation occurring for the players due to shaling of different ice levels caused by use. The Barrow Bag Flooder and Sprinkler with warm water is the answer.